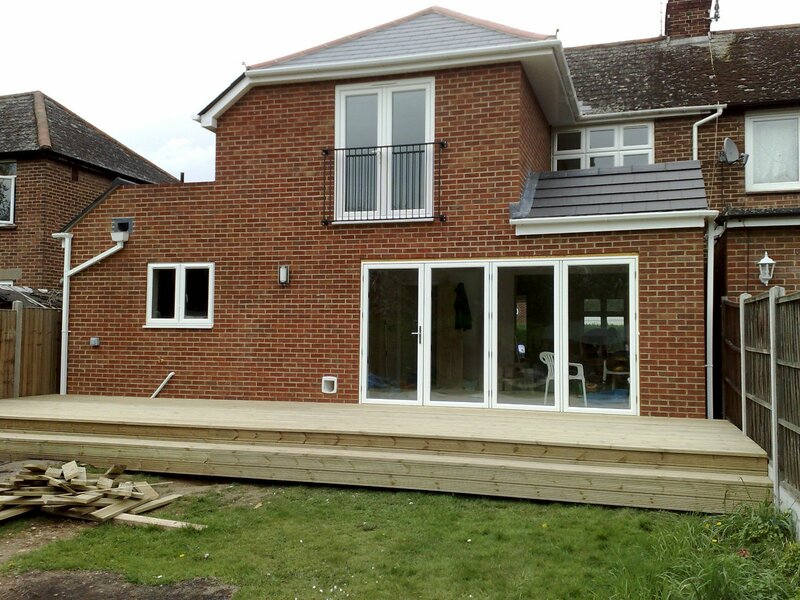 As a well established and reliable builder in Chelmsford, Essex we can offer you a full range of building and construction services including new builds, extensions, garage conversions, loft conversions, renovations, roofing, joinery, plumbing, electrics, UPVC windows and doors and much more both domestic and commercial. All estimates are free with no obligations so please get in touch and we can give you a competitive price for the work that needs to be carried out – whatever your requirement. Your home is important to you and therefore to us. Every aspect of your project is carefully project managed by years of experience, this ensure we keep you on schedule, within budget and fully informed all the way. As a local Chelmsford builder we have many years experience liaising with professionals including local county councils, building inspectors and structural engineers. We offer an architectural service if needed and employ a team of highly professional, qualified and reliable tradesmen to carry out the work you require with respect to your home and minimum disruption to your daily life. All quotations are free of charge so please get in touch and we can give you a competitive price for the work that needs to be carried out – whatever your requirements. Please give us a call today on 01245 460528 or 07703 567430.